TNT and Phoenix notched separate wins in the 2016-2017 PBA Philippine Cup, defeating Mahindra and NLEX respectively this past Wednesday. TNT KaTropa woke up from a lethargic first half to stop the Mahindra Floodbuster, 104-92, and snap their own two-game skid in the Oppo PBA Philippine Cup Wednesday at Cuneta Astrodome. 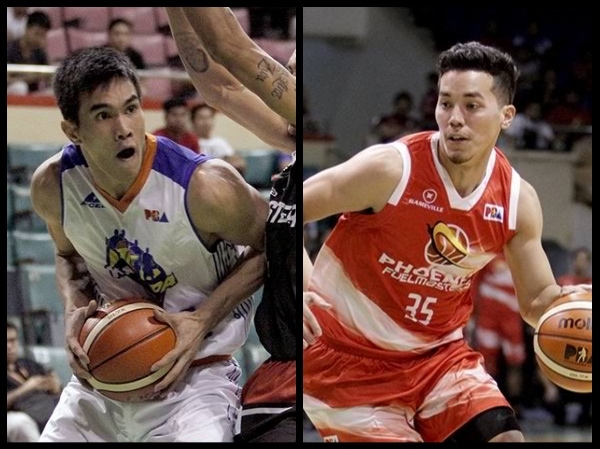 Troy Rosario top-scored for TNT with 18 points and nine rebounds while rookie Roger Pogoy tallied a career-high 16 points together with four rebounds and four assists. Troy Rosario (TNT) - 18pts, 9rebs, 1ast, 1blk, 2 triples. Alex Mallari (MAH) - 19pts, 7rebs, 5asts. The Phoenix Fuel Masters used a blistering third quarter run to dispatch the NLEX Road Warriors, 102-91, in the Oppo PBA Philippine Cup Wednesday at Cuneta Astrodome. Simon Enciso finished with 21 points spiked by five triples to lead five Fuel Masters players who breached the double-digit mark in scoring. JC Intal contributed 16 points, Cyrus Baguio had 13 and Willie Wilson and Matthew Wright each added 12 points apiece. Wright fell one assist shy of a triple-double. He also grabbed 12 rebounds and dished nine dimes although he committed 10 turnovers. Matthew Wright (PHX) - 12pts, 12asts, 9rebs, 9asts, 3 triples. Sean Anthony (NLX) - 23pts, 8rebs, 3asts, 1 triple.